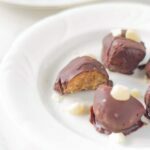 Raw Chocolate Caramel Macadamia Truffles. Make the perfect after dinner treat! They are delicious and look amazing. Your guests won’t believe that you actually made them. Thermomix version included! 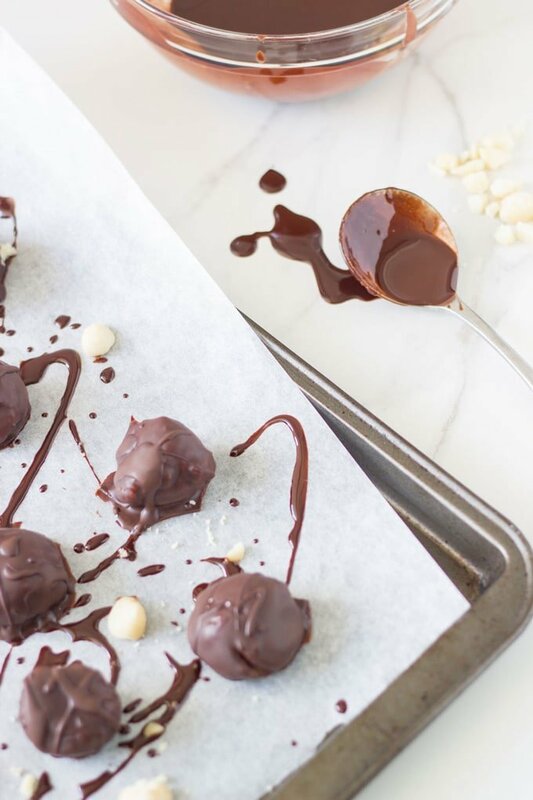 You are going to love these Raw Chocolate Caramel Macadamia Truffles. They are delicious and make the perfect healthy treat! 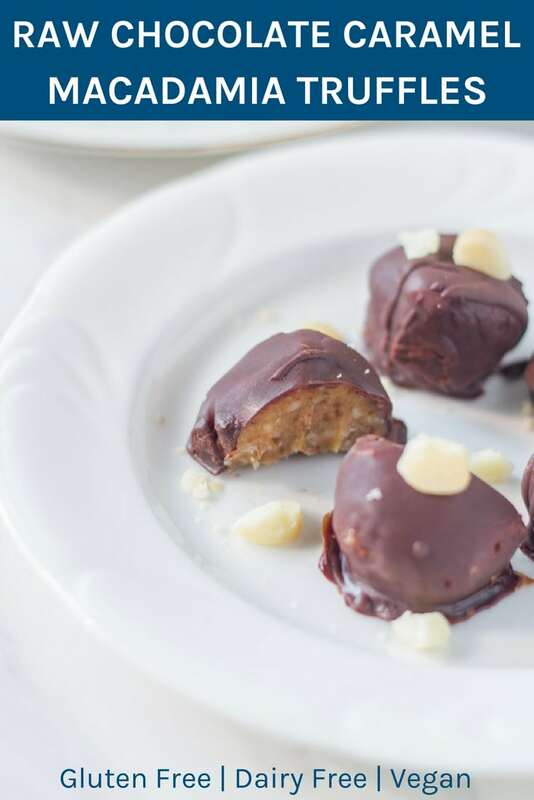 These truffles are an adaptation of my super popular Raw Caramel Macadamia Bliss Balls. However, for these truffles I omitted the tahini which feature in my bliss balls. I am a big fan of raw chocolate, especially when combined with caramel and macadamia. 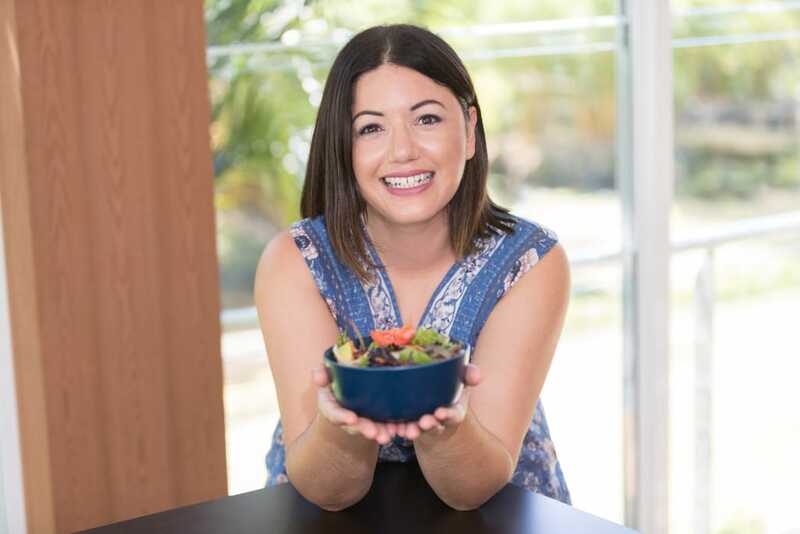 Check out my Raw Caramel & Macadamia Chocolate Cups, Raw Caramel Brownie Slice and Raw Chocolate Caramel Pie for some more yummy recipes. 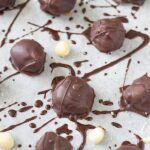 As always, these truffles are gluten, dairy and refined sugar free as well as paleo and vegan friendly. Make the perfect after dinner treat! They are delicious and look amazing! Your guests won’t believe that you actually made them. Process the macadamias in a food processor until they resemble fine crumbs, next add the medjool dates, maple syrup, coconut oil and vanilla paste and process until completely combined and smooth. Place mixture into the freezer until firm, approximately 30 minutes. 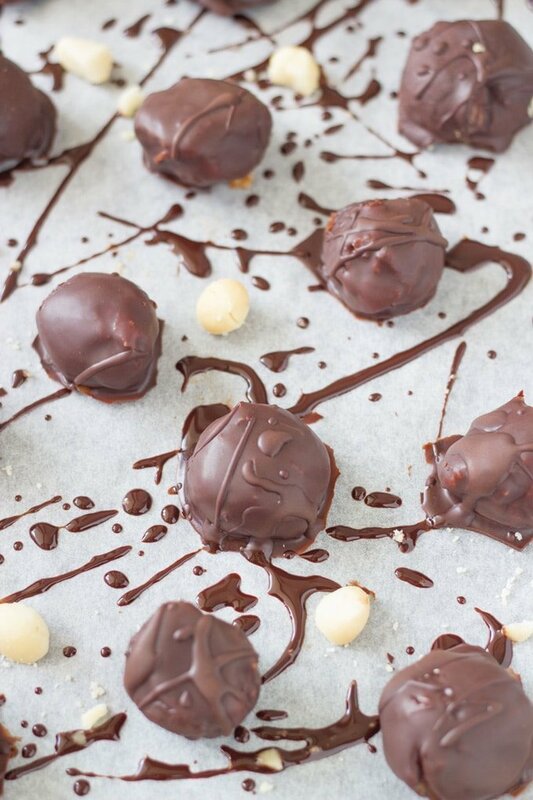 To make the chocolate coating, melt the coconut oil in saucepan on low heat. Once melted, add the maple syrup, whisking until well combined. Then add the cacao powder, stirring well until well mixed through. Once the caramel macadamia truffles are ready, coat in the chocolate mixture. I use either two spoons or a spoon and a fork to coat them in the chocolate mixture and drain off any excess. Place them back in the freezer for a minimum 10 minutes so that the chocolate sets. Keep stored in the refrigerator or freezer. Cook time does not include the time it takes for the truffles to freeze — approximately 2 hours, depending on the temperature of your freezer. Next, add the medjool dates, maple syrup, coconut oil and vanilla paste and process for 20 seconds / speed 7 or until well combined. Place mixture into the freezer until firm, approximately 30 minutes. 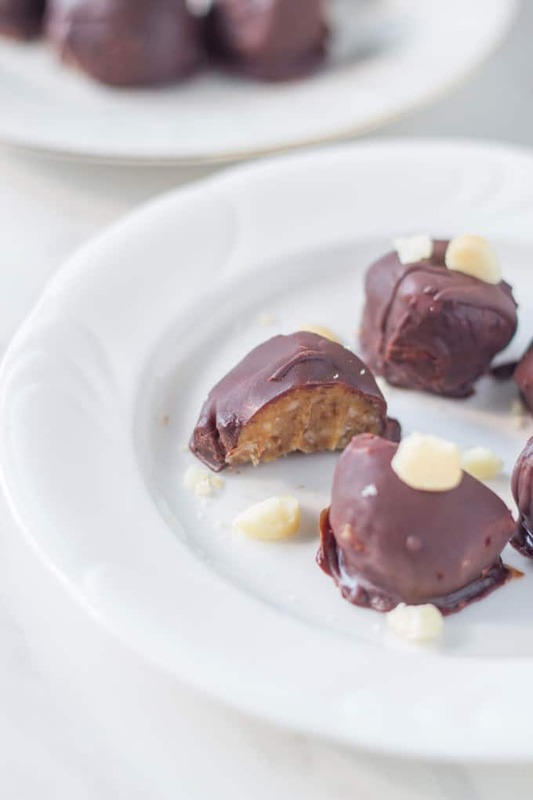 Remove from the freezer and roll the mixture into small balls and then place back into the freezer for approximately 1 hour (this will ensure that they are not too sticky when you are coating them in the chocolate). To make the chocolate coating, add the coconut oil to the thermomix bowl and melt for 1.30 mins / 100 C / speed 2. Next add the maple syrup and mix for 5 seconds / speed 4.